University of Illinois at Chicago professor Roger Weissberg has been named among the most influential individuals and organizations involved with after-school research and evaluation, according to the National AfterSchool Association. Weissberg, the NoVo Foundation Endowed Chair in Social and Emotional Learning and distinguished professor of psychology and education at UIC, was honored for his contributions to research and evaluation on youth and adolescent development. The 2018 honorees are distinguished for their work that has “resulted in stronger practices, higher quality programs and increased positive outcomes for children and youth,” according to the association. At UIC since 1992, Weissberg is considered one of the country’s foremost experts on social and emotional learning, or SEL, in childhood education. For more than three decades, his research has shown the effectiveness of SEL in helping students succeed in the classroom and manage problem behaviors. He trains education scholars and practitioners in innovative family, school and community interventions developed from evidence-based social and emotional learning practices. With more than 200 publications focusing on preventive interventions with children and adolescents, Weissberg’s research has also helped to support policies and create legislation that encourage quality after-school programming at the federal, state and local levels. 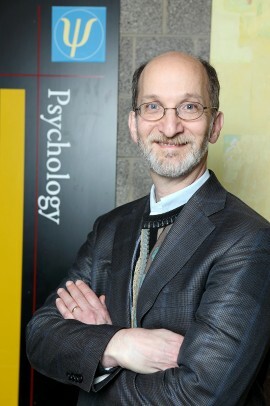 Weissberg heads the UIC SEL Research Group, based in the department of psychology, where he and his colleagues conduct SEL research and assessment, practice, educator preparation and policy development. He serves as board vice chair and chief knowledge officer for the Collaborative for Academic, Social, and Emotional Learning, or CASEL, a national organization for the evaluation and advancement of evidence-based social, emotional and academic learning. In 2013, Weissberg was elected to the National Academy of Education for his contributions to educational research and policy development. He was selected in 2008 by the George Lucas Educational Foundation for its “Daring Dozen,” which honors those who are reshaping the future of education. The National AfterSchool Association is the membership association for professionals who work with children and youth in diverse school and community-based settings to provide a wide variety of extended learning opportunities and care during out-of-school hours. An estimated 10.2 million children participate in after-school programs each year and the industry employs an estimated 850,000 people.